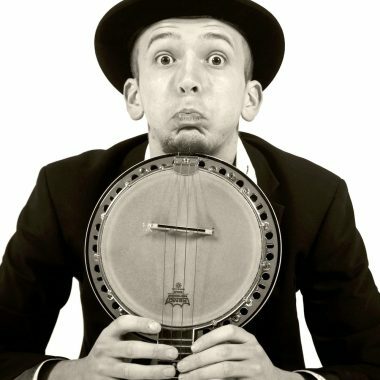 Laurence is a versatile One Man Band who brings new life and energy to this traditional entertainment with his banjo ukulele, honky horns and silly noises! ...He lifts the atmosphere and bestows a ‘feel good factor’ whenever/wherever he plays. Zany, jazzy and guaranteed to brighten up any event – rain or shine! Laurence is a young energetic performer who has been performing as a one man band since 2010. 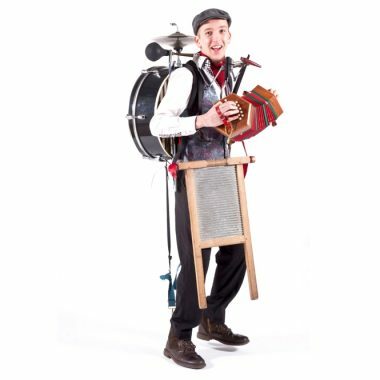 Since starting out as a busker Laurence has gone on to perform for parties, festivals, theme parks, corporate events, weddings, shop openings, street festivals, shopping malls and still enjoys a bit of busking when he can fit it in. A versatile energetic performer playing over 15 instruments all tied to him! Laurence has entertained crowds across the world from street theatre shows through to tours to the Middle East. 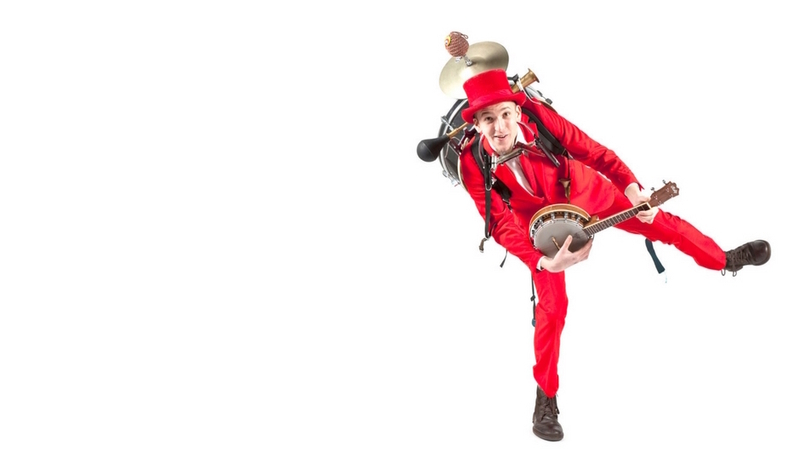 He brings a new life to a traditional entertainment with his banjo ukulele, honky horns and silly noises! He sings and dances making a great rhythm for funny cover versions of well-known tunes as well as original comedy songs. Laurence’s One Man Band is great for all events where you want entertainment to be able to roam around within a crowd and across an event. With a completely self-contained set up Laurence can move around with no need for wires or plugs as he even has a portable PA system on board. With a large repertoire of over 200 songs ranging from the 1920s up to modern hits he can pull out something to please everyone. A hit with kids of all ages Laurence brings a sense of fun and silliness wherever he roams whilst mesmerising with all of his different instruments and contraptions.